Life really is Better in Pink in the Hilosky House! With Lacie, everyone (I mean everyone) came to the ultrasound with us to find out at the same time! With Blakely, John and I knew for a few days that she was a girl. We had everyone over to our house, and had my mom cut into a cake to reveal a PINK center! So for this baby, we had both sets of Grandparents along with my sister and John's brother come over after I was home from the appointment. 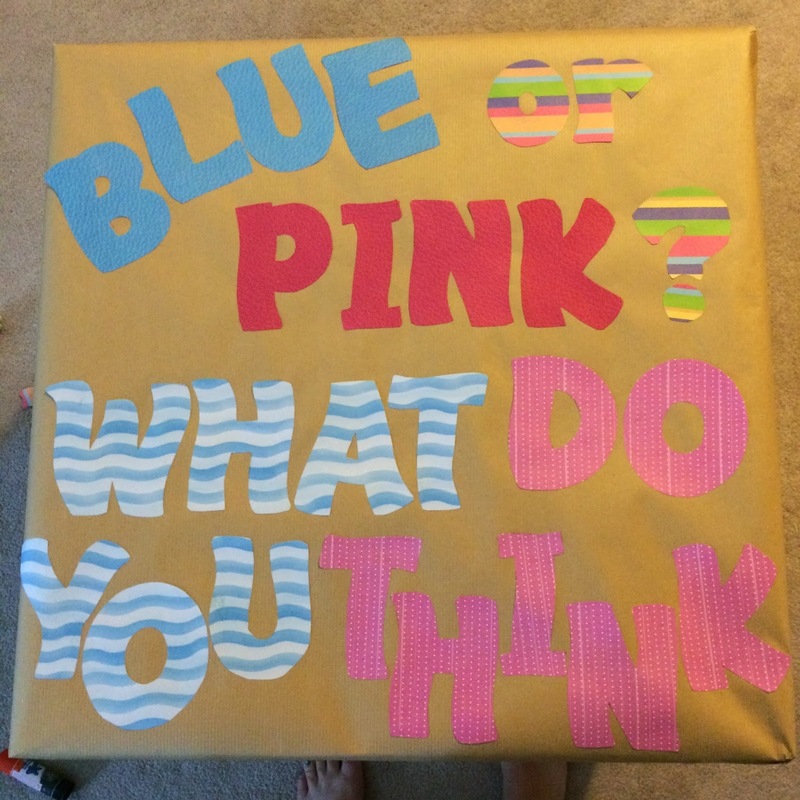 I had already decorated a huge box to say "Blue or Pink? What do you think?" We had everyone cast their votes. Then, I filled the box with Pink balloons (yes we bought both colors ahead of time so I wouldn't have to run out to the store) and we opened the box while everyone watched! 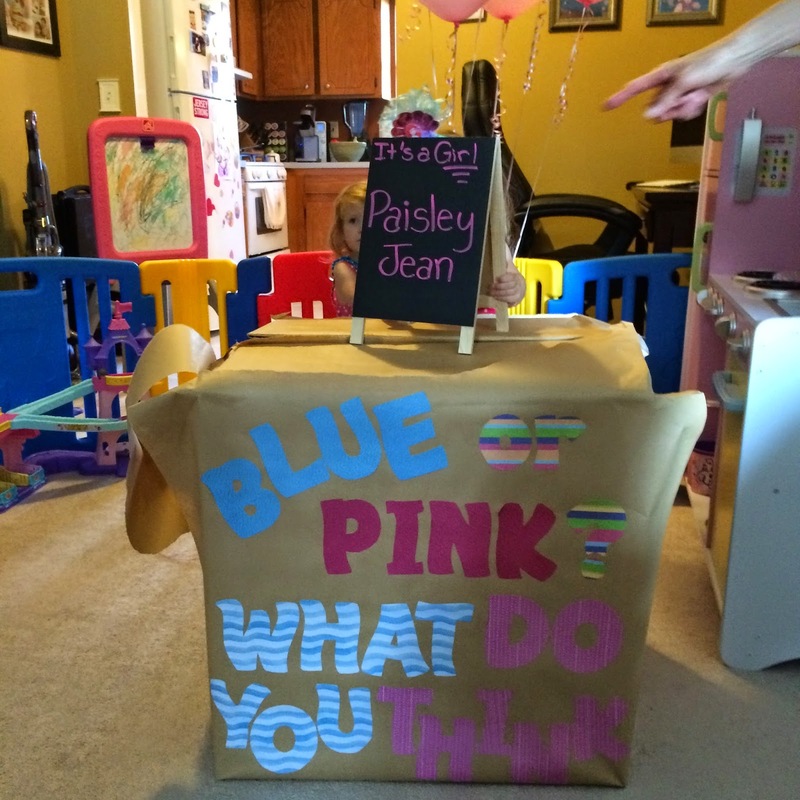 This was the box that I decorated for the balloons! I used my week by week chalkboard for everyone to vote! You can see that my mom (that would be Nana Jane) cheated and voted both ways. I wrote my guess on the board the night before since I would obviously know the real answer the day of the party! As you can see I was wrong...I'm 0-3 at this point! The moment the balloons came out of the box and everyone started laughing because *of course* it's another girl! Lacie was very excited! She has been calling this baby "girl" all along! Introducing Miss Paisley Jean! Paisley is a name that John and I have had for a long time. It's just a sweet girl's name that we love! It sounds super girly and it sounds great with our other girls names. 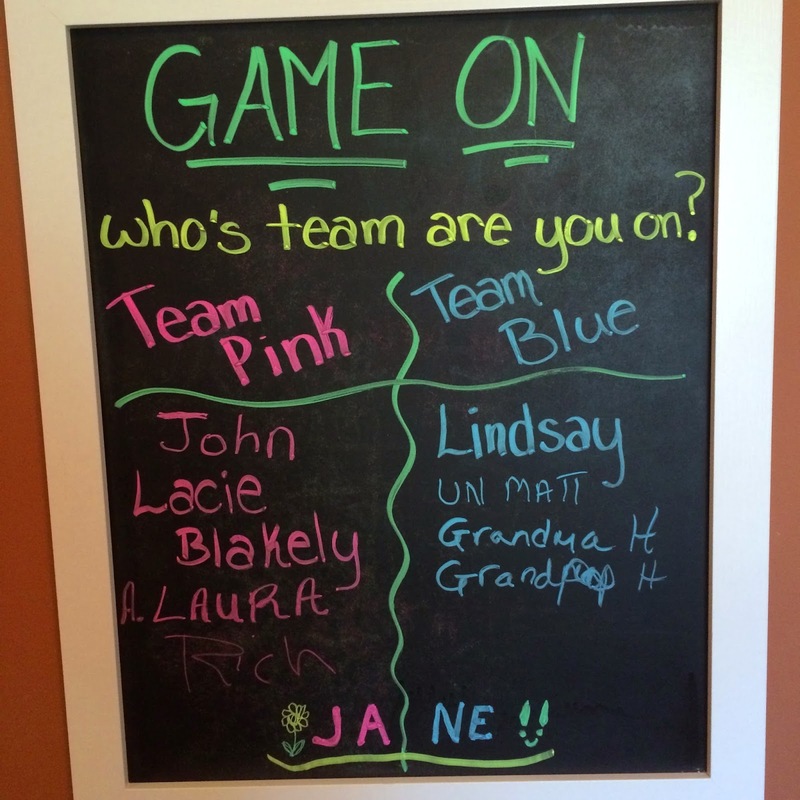 We picked Jean for the middle name to honor my mother-in-law Mary Jean and her mother, John's Grandmom Jean! It's the perfect name for our newest princess, and I am so excited that we will get to use this name! But the fun didn't stop there! 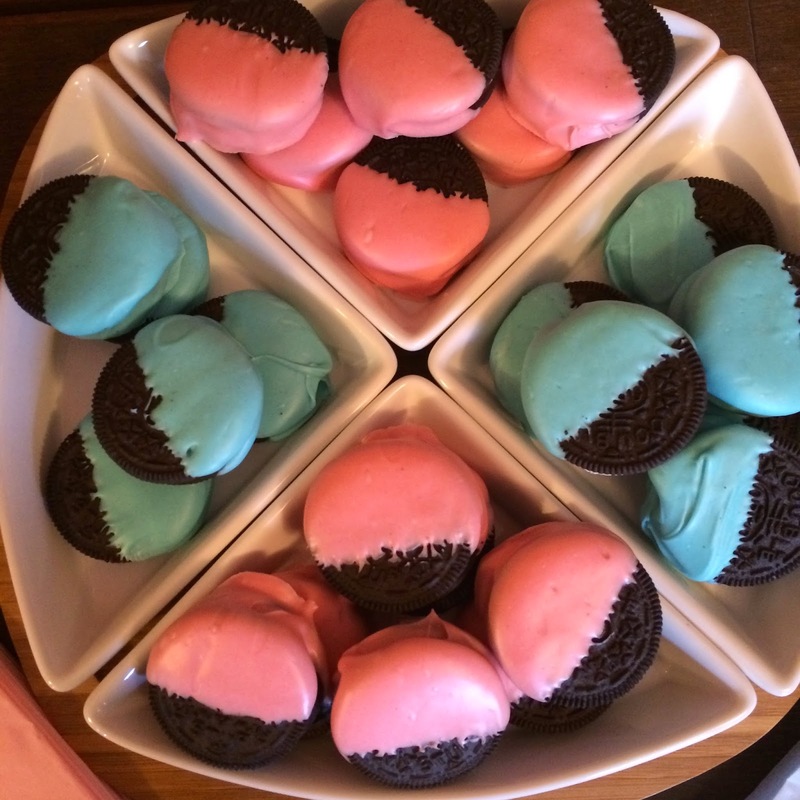 Being the dessert loving person that I am, I had prepared a few pink and blue treats for dessert! Plus we ordered pizza! It was such a fun and memorable night with family! 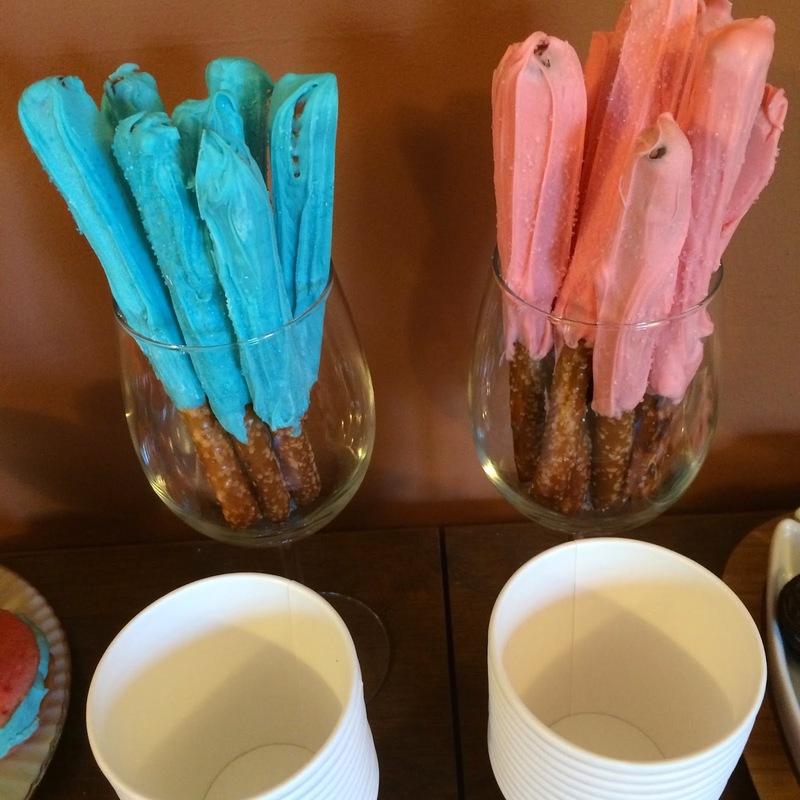 My blue and pink themed dessert table! 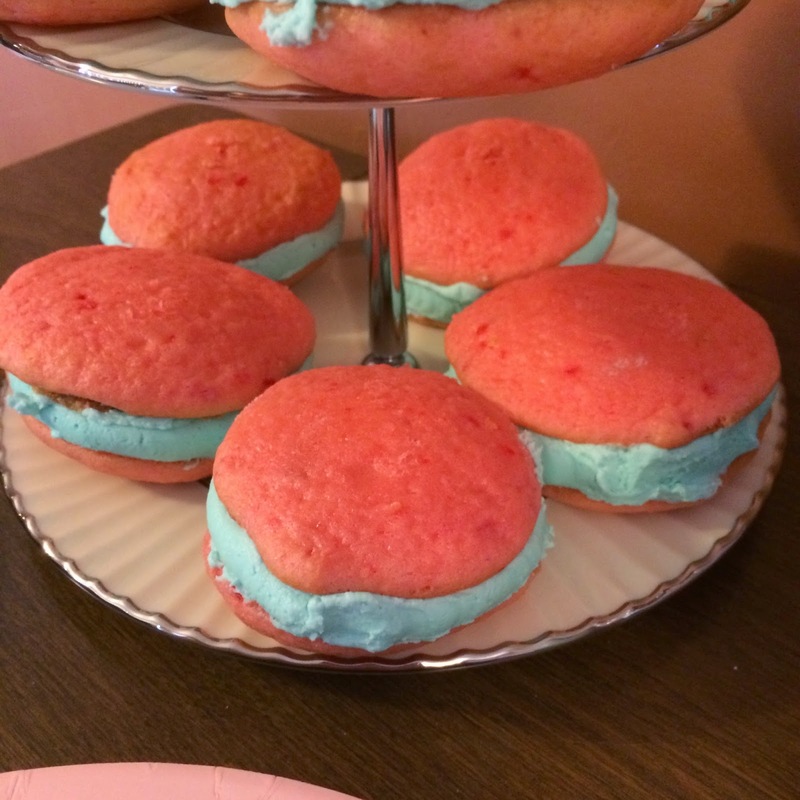 And Pink and Blue Whoopie Pies! Recipe coming soon! And of course I'm already online shopping for some sweet little baby girl items! What a blessing it would be if more mothers were like you. Great idea for the whole family to enjoy in the special event. How to conceive a baby boy is still a taboo in some of the places since it indicated you are gender biased. But most of the people are not and also want to get pregnant with a baby boy. It totally depends on their perspectives and we should not judge them.